March 17, 2019 - Weekly Raffle Results! The results are in! The winner for this weeks raffle was Lilith! Congratulations! The winning pot was 55,870,750 tu. March 10, 2019 - Weekly Raffle Results! The results are in! The winner for this weeks raffle was kirklychoppa! Congratulations! The winning pot was 55,431,850 tu. From now until mid April we are bringing back the retired Creatu cash shop special! March 3, 2019 - Weekly Raffle Results! The results are in! The winner for this weeks raffle was rita! Congratulations! The winning pot was 61,495,825 tu. March 1, 2019 - March Achromatics! 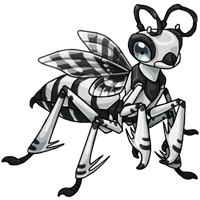 Shaefu, Iluvu, and Vaspi are now able to be hatched in achromatic for the month of March! Shaefu Creatu Eggs and Shaefu Egg Nests are now being sold in the Cash Shop!